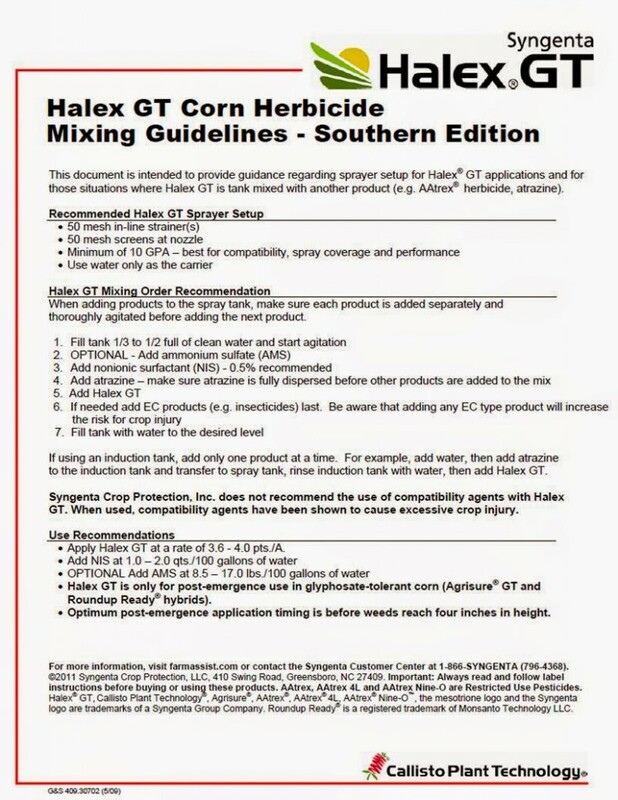 As we begin to consider and apply postemergence weed control in RR field corn, I wanted to share a mixing guideline for the corn herbicide Halex GT. Halex GT is a three way premix of glyphosate + mesotrione + s-metolachlor. This informational sheet from Syngenta provides details and mixing order recommendations when tank mixing with atrazine. Posted in Corn, Pesticides. Bookmark the permalink.